Civil lawsuits arise because of a dispute between parties. They’re unable or unwilling to resolve the dispute, so they get lawyers involved and cases are filed. The litigation process is a way to resolve those issues with the help of a judge or jury. But that’s not the only way to resolve a dispute. There are costs and benefits to litigation. The obvious benefit is that a party may get the resolution it wants. In a commercial context, pursuing litigation can also serve as a notice to others that the business does not hesitate to enforce its rights. But, the costs of litigation are many. Litigation often comes with a hefty price tag. A party might not only be on the hook for its own costs and attorneys’ fees, but also a verdict against it and possibly the costs and attorneys’ fees for the opposing parties. A case can literally take years. If you win at trial, there could be an appeal. Collecting on a money damages award will take time, if you can do it at all. The time and energy a party spends on a legal case is time and energy not spent on other things, like family, making a living or running a business. Litigation can be emotionally draining. The parties may have to relive over and over again, during depositions (when parties are questioned under oath) and at trial, in front of total strangers, very stressful and painful situations. Litigation results in a loss of privacy. Court proceedings and verdicts are generally matters of public record. Someone off the street can go to the court clerk’s office, open up a file and read about very personal issues (such as family disputes, medical conditions and finances). One way to seek the outcome a party wants, without the heavy costs and risks of litigation, is alternative dispute resolution. The parties can agree to mediation or arbitration, which may bring litigation to a close. Mediation is a process by which a mediator works with the parties and attorneys to create a resolution acceptable to all parties. Arbitration is a more formal process by which evidence is presented and an arbitrator (or panel of arbitrators) decides who should prevail. An arbitration decision may or may not be binding on the parties. A mediator will learn the circumstances leading to the case, the parties’ positions and what they’re willing to give and take to resolve the issue. The mediator may meet separately with the parties, try to create common ground and possibly come up with creative ways to meet the parties’ needs. A mediator may, or may not, try to guide the parties with his or her assessment of the strengths and weaknesses of the case and the likelihood of success or failure, if it proceeds. The parties can control how much time and energy this will take, instead of being subject to a trial schedule. Agreements can be kept confidential. Money, time, energy and emotions not spent on litigation can be spent on other things. 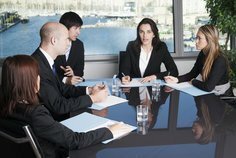 Alternative dispute resolution is a means to bring control and certainty to the legal process which is invaluable when you are recovering from a traumatic, stressful and painful event that led to the legal action in the first place.